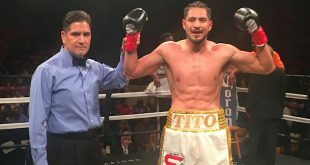 Last night at Boardwalk Hall in Atlantic City, WBO Light Welterweight Champion Kendall Holt swept back the challenge posed by late replacement opponent Demetrius Hopkins, posting a split decision victory in a bout that went the distance. 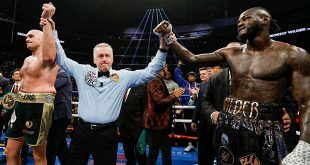 Holt negated the height and reach advantage of his previously undefeated challenger by slipping the jab and getting on the inside to go to the body but was helped along more often than not by the inactivity of Hopkins. 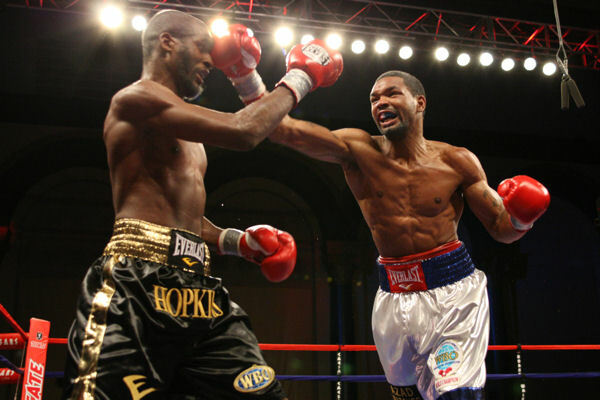 While the Philadelphia based nephew of former world middleweight champion Bernard Hopkins was generally kept from forming a cohesive offense by the constant movement and footwork of the champion, he also didn't throw enough punches when the opportunities to do so arose and was outworked by Holt. Hopkins did manage to get it all together at times during the bout but couldn't keep his successes going in his first championship level contest. 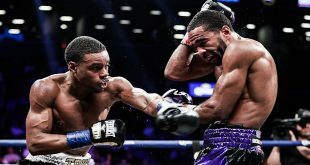 The champion's best moments of the fight came in the seventh when he nailed Hopkins with a picture perfect left and then the final round when Holt fought with real motivation to seal the fate of Hopkins. When the scores were read, Holt took two of the cards 117-111 and 116-112 while Hopkins won the third 115-113. Holt successfully retains the WBO crown for the first time, improving to 25-2 (13) by seeing off Hopkins, who loses his first bout and falls to 28-1-1 (11). On the undercard, NABF Light Middle Champ Yuri Foreman, 27-0 (8), outboxed challenger James Moore, 16-2 (10), who had not previously faced anyone near Foreman's ability and was soundly outclassed over ten rounds despite his best efforts.